In certain emergency plumbing situations you always want to make sure you keep certain tools handy. It isn't always easy to go and search for a plumber while something is overflowing or leaking, especially in the middle of the night. To help deal with these types of emergencies you should always keep the following tools handy around the house. Wrenches: These tools are common tools which is a "must-have" to tackle plumbing problems. It is difficult to get the right wrench since you may find different types of wrenches in the market. It is generally advised to go for adjustable wrenches since these offers the flexibility to change the grip as and when the situation demands. 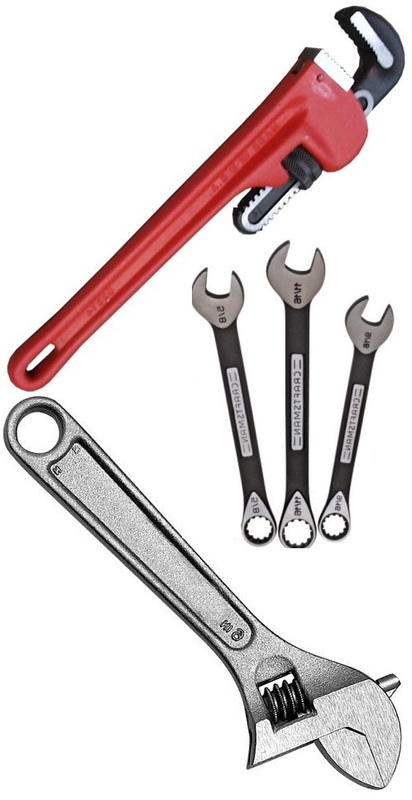 Fixed wrenches on the other hand, offer only one type of grip. Other types of wrenches are socket wrench, basin wrench and pipe wrench. 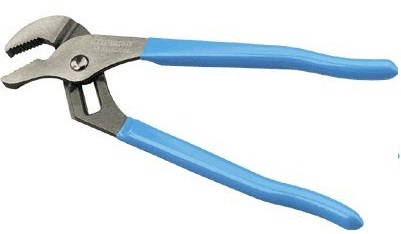 Pliers: This is the second items which are very important to deal with any type of plumbing work. The most common type of pliers are tongue and groove pliers. Pliers are a part of most plumbing tools which are available in the market. Pipe Vises: This equipment is mainly used for threading, reaming and cutting pipes. Pipe vises are designed to work with pipes of various sizes. 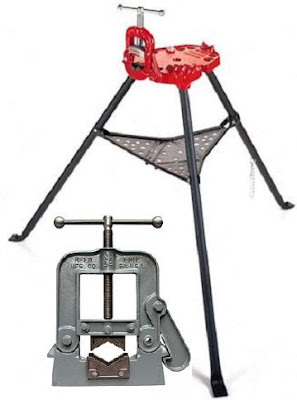 The two most commonly used ones are yoke pipe and chain vises. The former is used for pipes with jaws, whereas the latter is used for pipes without jaws. Sink Auger: This is by far one of the most valuable plumbing tools that you can own. Great for clearing clogs in sinks and bathtubs,the auger consists of a long flexible cable coiled in between a drum shaped canister. By turning the canister, you can make the cable break up any challenging clogs in your drains. Toilet Auger: Similar in use to the sink auger, this is specially designed for clearing clogs in toilets only. Commonly known as the closet auger, this special tool has a hand crank, a long sleeved handle, and an auger bit that can break apart any plumbing obstructions. It reaches around three feet. Plunger: Shaped like a rubber cup with a wooden handle attached on one end, the plunger is most commonly known clearing up clogs. There are specialized plungers for the different occasions. Cup plungers are used for sinks and tubs, while the flange plunger is designed for the toilet bowls. Plungers will be split into two broad categories. 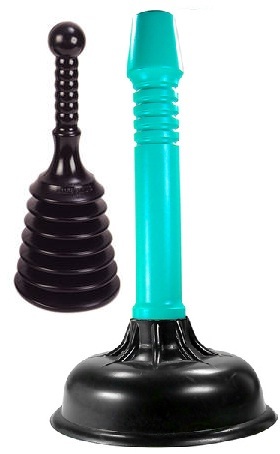 There are plungers designed for use with toilets, and plungers intended for use with sink and floor drains. thanks for the suggestions on just everyday repairs and i have enjoyed going through the well elaborated content. Its very informative and interesting. See also more and compare for best prices deals for Plumbing Tools here! Good to see these helpful information here, Thanks lots for sharing them with us. Arms Drain Specialists specializes in drain cleaning and unblocking all types of drains from the kitchen sink, to main sewer snaking lines in both residential and commercial establishments throughout Lebanon. Over the years of experience, Arms Drain Specialists is recognized as one of the reputed company within the sewer and drain cleaning industry. Our team of plumbing specialists will work closely with you to offer the most cost-effective drainage solutions.